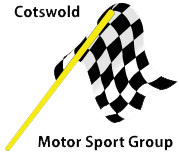 Ludlow Castle Motor Club are running an Inter Club Motorsport quiz that all AWMMC member clubs are invited to enter 1 or more teams. refreshment break in the middle.The cost per team of 4 is £12.00. The brewery is situated between the railway station and Aldi supermarket. He will need to know numbers the week before 4th April to arrange the catering etc.